It’s Saturday morning in Petaluma. Today all four of us are ready to spend the day in the wine country. 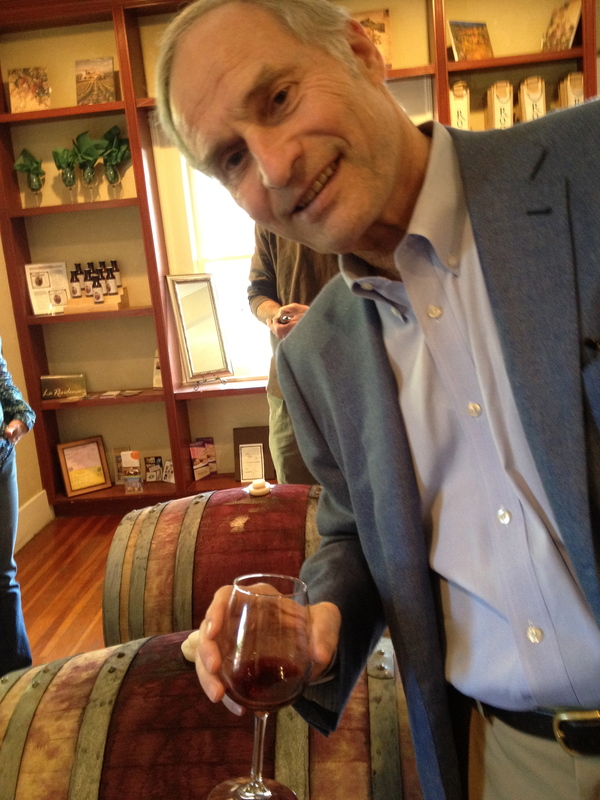 On Friday we got an early start when we visited Roche Wine’s tasting room in downtown Sonoma. Terry was ready to begin to kick-start our adventure as he hovered over the wine barrels. 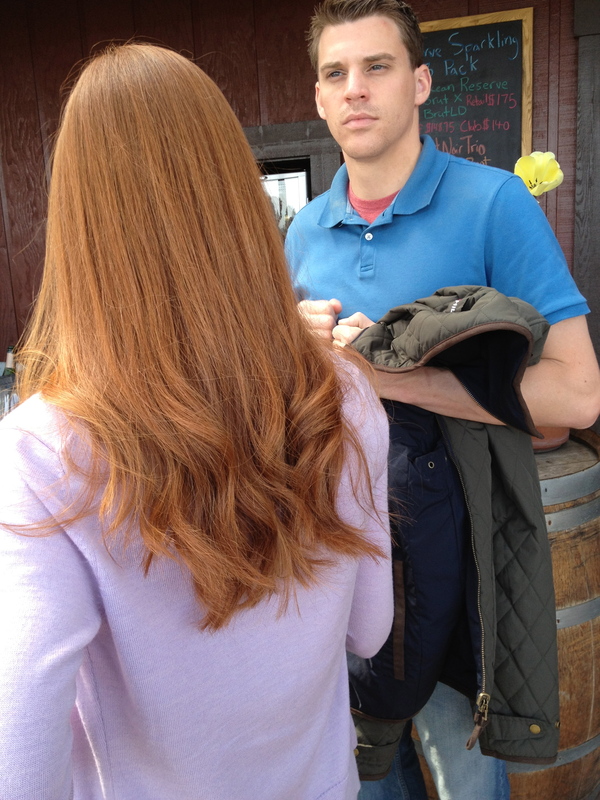 Our wine tour Saturday morning began at the Iron Horse Winery. 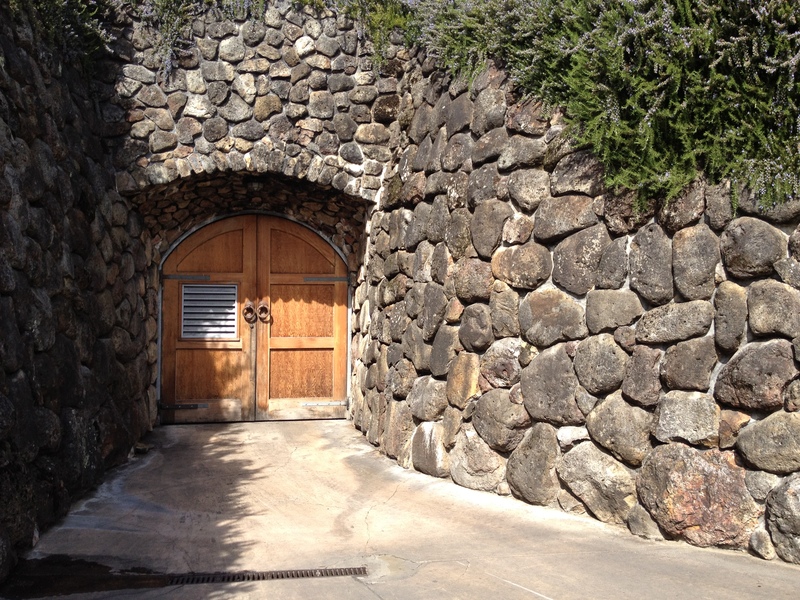 It is in a beautiful setting in the hills of Sonoma with vineyards all around it. 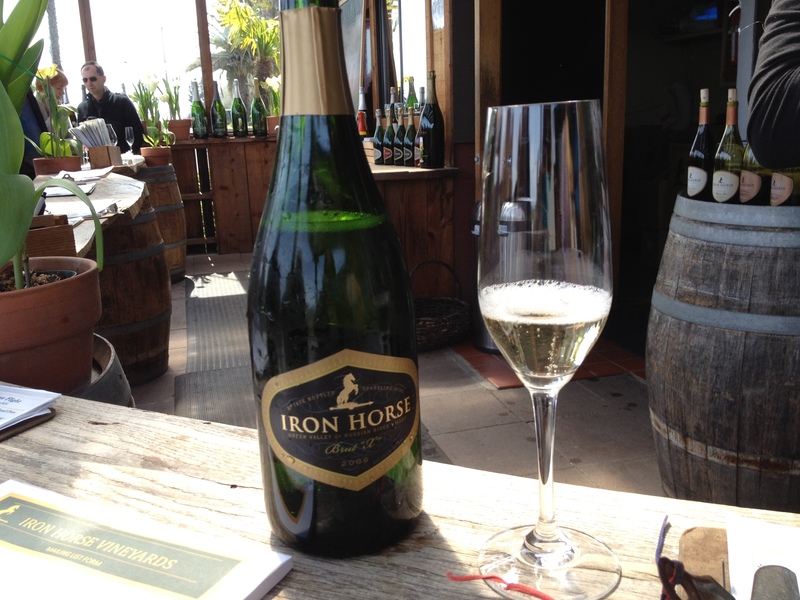 The Iron Horse focused on sparkling wines and chardonnay. 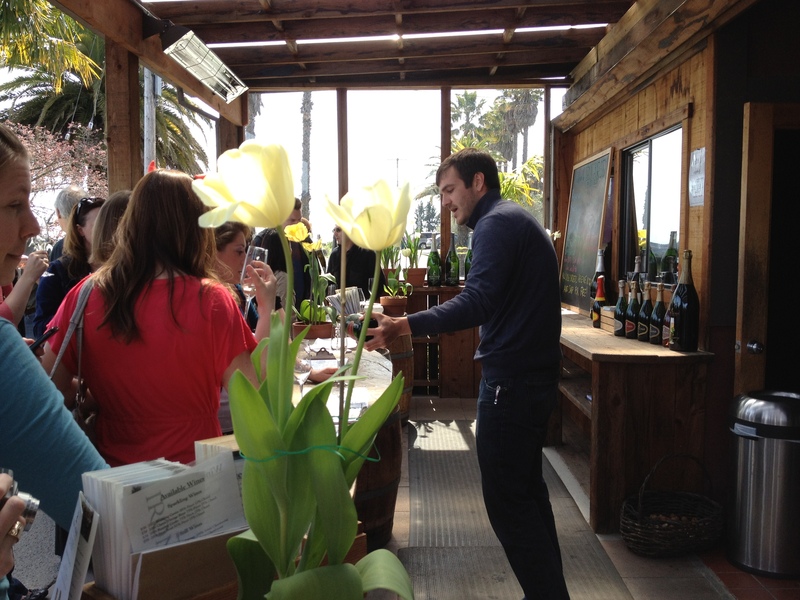 The overall mood of the tasting room was lots of fun and the great attitude of the servers added to the experience. We were lucky that Jake was able to break free from work for some well deserved fun as he joined us for our wine tasting adventure. He took it seriously as he discussed with Meg which wines they each preferred. By the time we arrived in Healdsburg we needed a break from wine tasting. We decided to stop at Wurst Sausage Grill. While I think of California as a mecca of fish, vegetables and fresh fruit, our lunch was definitely all about grease and french fries. But the food was full of flavor and very satisfying. 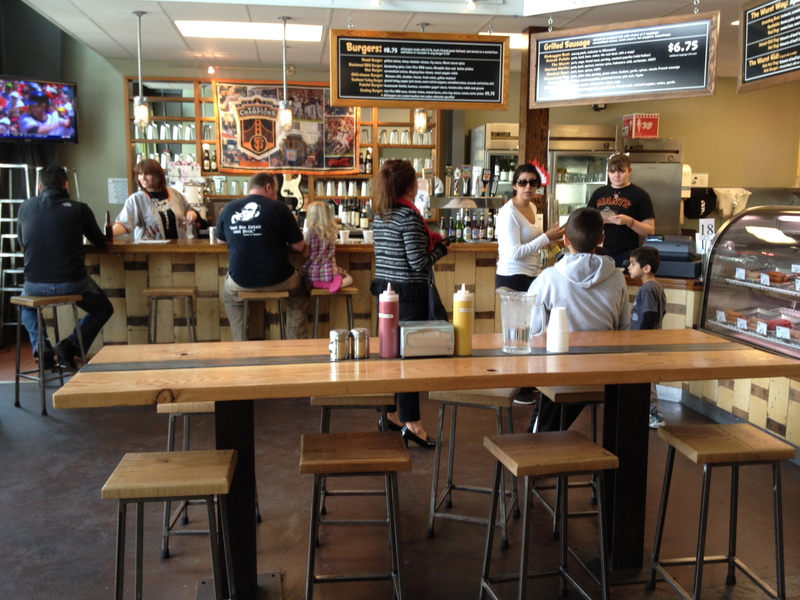 Healdsburg is another town with a small town feeling. In addition to the wine tasting room, the square is filled with restaurants, jewelry stores and gift shops. Wine is a constant theme. 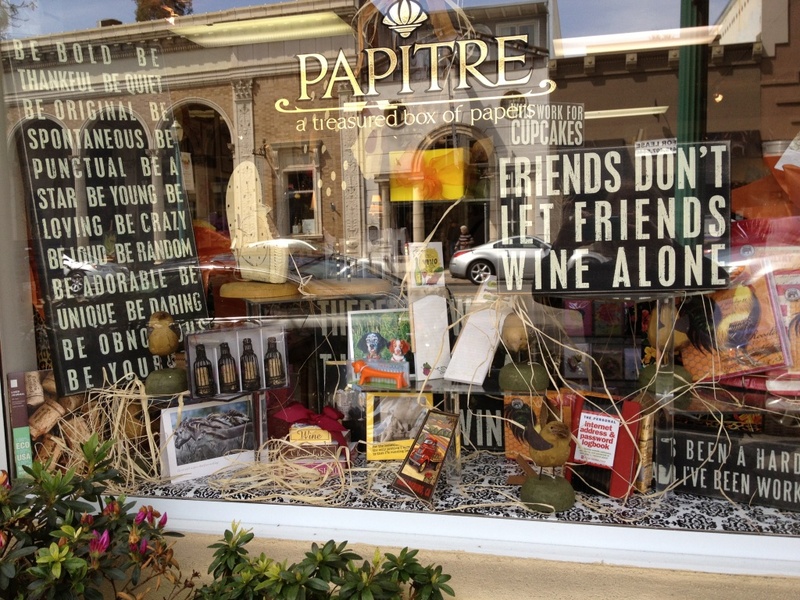 The reflection of the brick building across the street in this photograph of Papitre’s shop window suggested the tricks the mind can play as a result of “over-tasting”. 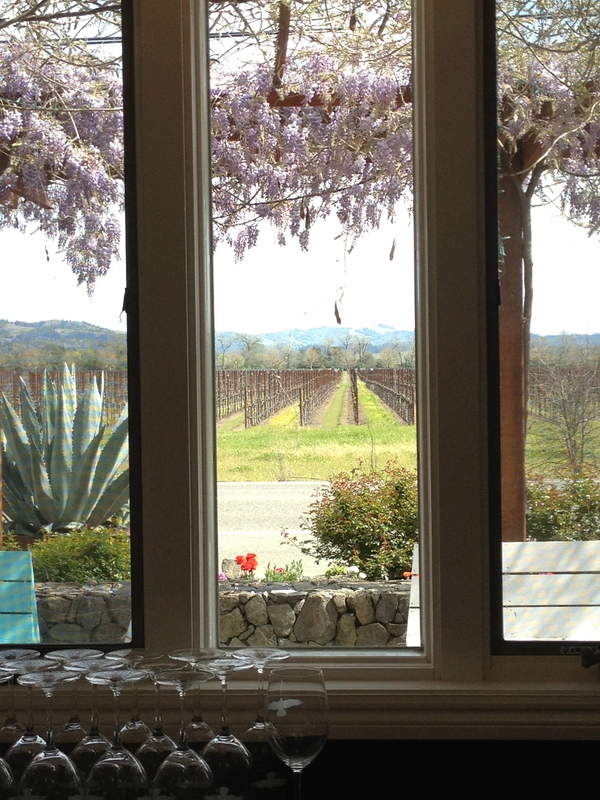 We travelled on to Hawke Winery’s tasting room with its wonderful view of the Alexander Valley. The view was worth the visit. The vineyard out the window was owned by Kendall Jackson. We continued on to the Alexander Valley Winery. It is also a beautiful location in the valley. The wines are among Terry’s favorites, since he is a regular at Costco. The wine cellars are quite elegant. Meg and I both included them in our photos. To me it looks like the entrance to a medieval castle. Our trip through wine country was a memorable experience. We’ve had a great time and met some delightful people. We head for home happy and satisfied. This entry was posted in Travel & Adventure and tagged Alexander Valley, Hawke, Iron Horse, Kendall Jackson, Papitre, Photography, Roche, Sonoma, Sonoma Wine, travel, wine, Wurst Sausage Grill. Bookmark the permalink.